Beatrice Howg passed away peacefully in Lethbridge at the age of 78 years with her daughters by her side following a lengthy battle with lung disease. Beatrice was born at the Galt Hospital and was the youngest child of Edward and Grace Drake. She grew up in the Enchant/Sundial area until the age of 7 years when her parents passed away. Beatrice then went to live in Calgary with Bob and Ada Patterson. Beatrice met Melvin Patzer while she was working in Lomond and they were married in 1954. Beatrice returned to Enchant with her two small daughters after the sudden passing of Melvin in 1960. Beatrice then married Leroy Howg and after their divorce she moved to Lethbridge and resided there until her passing. 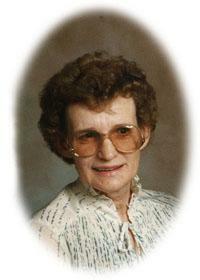 Beatrice led a quiet life and always enjoyed family and country music. Until her failing health, she also enjoyed gardening and carpentry. Beatrice’s sisters, Mildred, Bernice, Wilma, and Frances were her best friends and she loved spending time with them either travelling or just getting together for large family gatherings. Bernice was Beatrice’s surrogate mother from the time she was a small child and they were inseparable. I am sure Bernice is taking care of her right now. She will be missed by all. Beatrice is survived by two daughters, Patricia Foster and Sharon Glas, her grandchildren, Kimberly Orlesky, Jeffrey Foster, and Clayton Foster, her sister, Frances (Jim) Ostrup, her brother, Delbert Drake, honourary little sister, Lorna Feist, her in-laws, Celia Drake, Verlien Brown, Clarence Patzer, Roy Patzer, and numerous nieces and nephews. Beatrice was predeceased by her parents, Edward and Grace Drake, her first husband, Melvin Patzer, her sisters, Mildred (Harold) Jones, Bernice (Jack) Brooks, and Wilma(Darrell) Seely, her brother, Gilbert Drake, her nephews, Keith Jones, Darrell Jones, Wayne Brooks, Darcy Seely, Ray Seely, and her in-laws, Jean Anne Drake, Otto and Mary Patzer, and Vern Brown. At Beatrice’s request, there will be no funeral service. Cremation. The family will hold a private burial in Hanna, Alberta at a later date where she will be laid to rest beside the love of her life, Melvin Patzer.